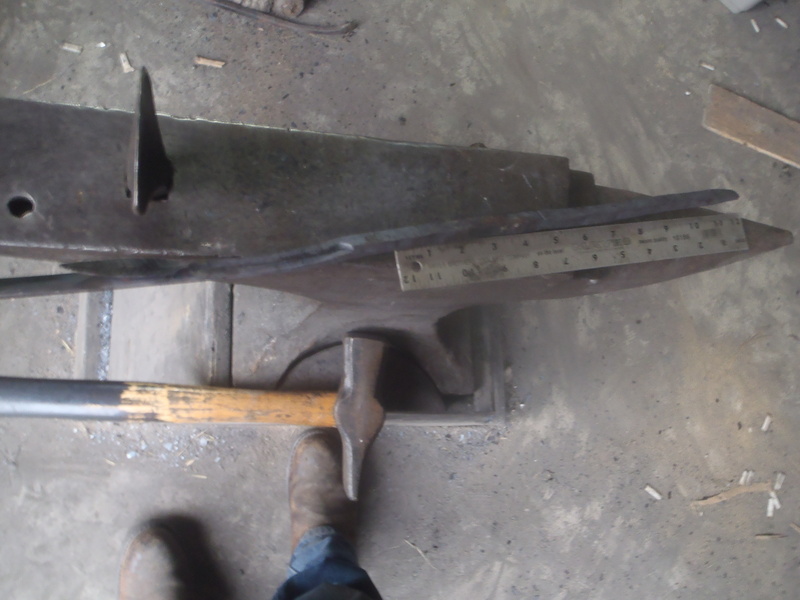 I then forge welded about 21″ of the bar stock over onto itself. 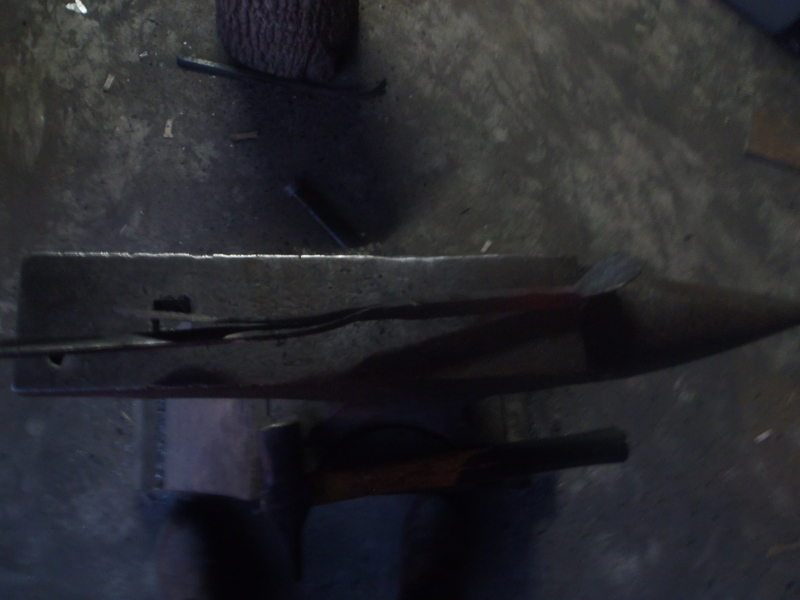 I tapered the end and cut a small indent close to halfway to prepare for the next weld. 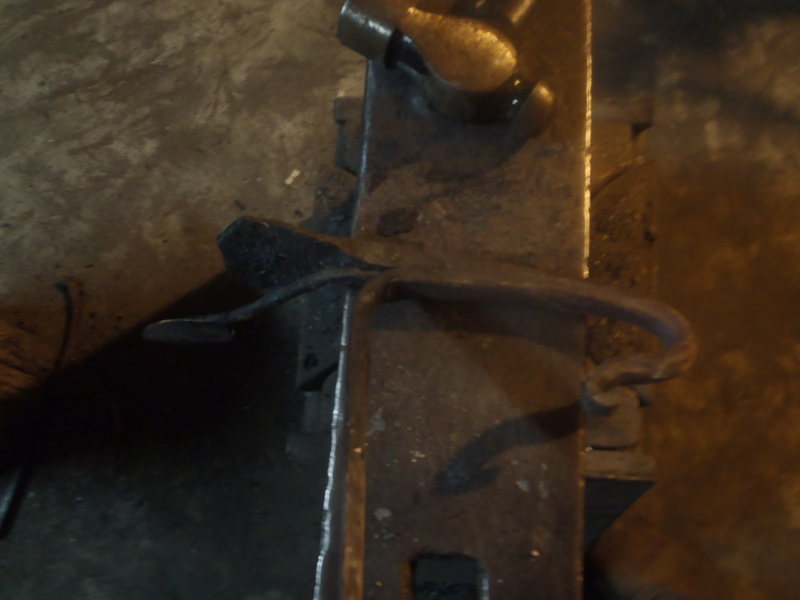 I folded it over once again and forge welded it. 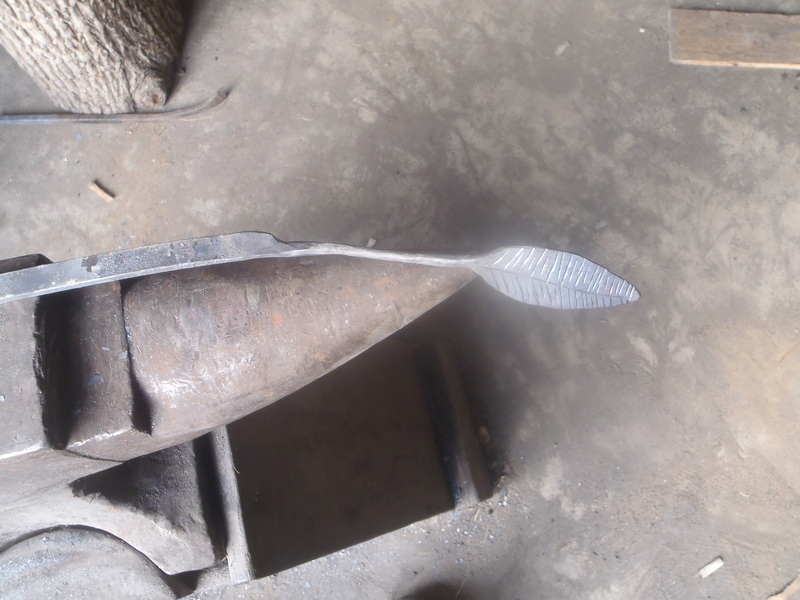 After welding was complete I started to form a fishtail with the crosspein. 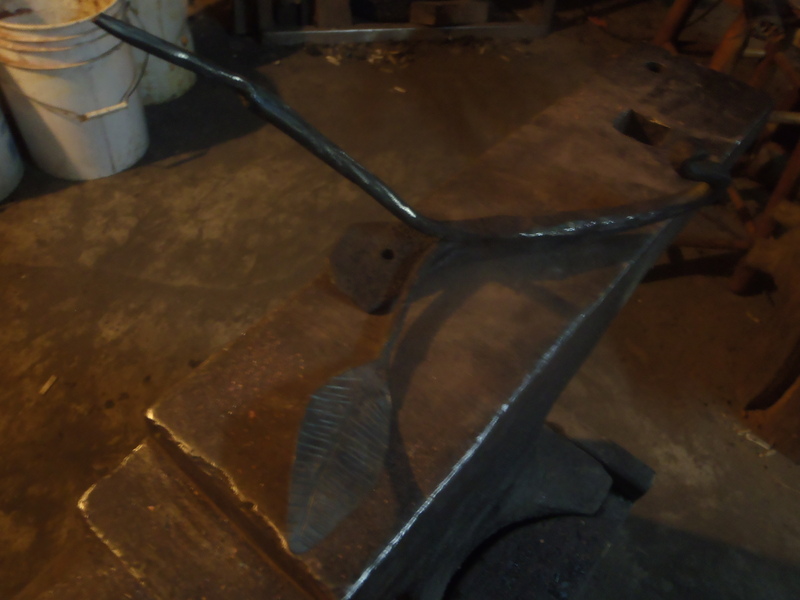 The bar was then folded and welded for a third time. 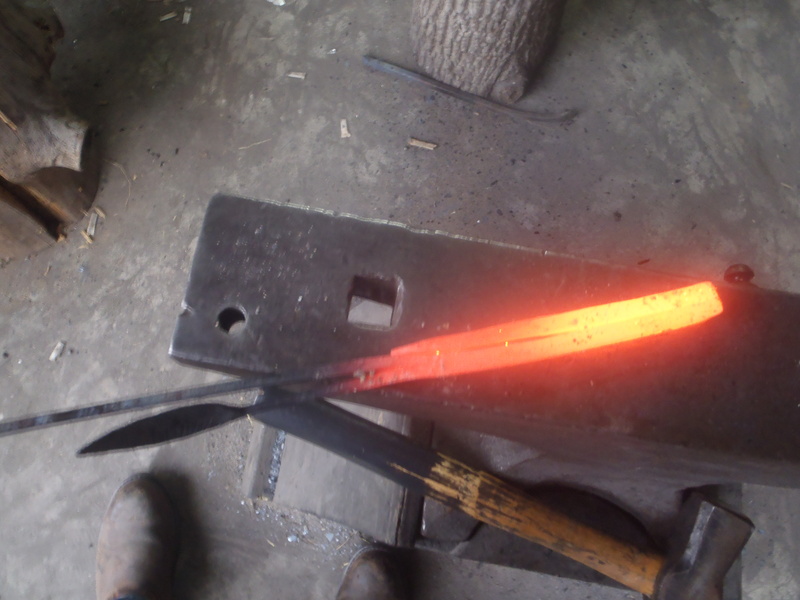 This is a bit more time-consuming than jump welding smaller stock to a 1/2″x1/2″ base would be I imagine, but the finished product would look different. 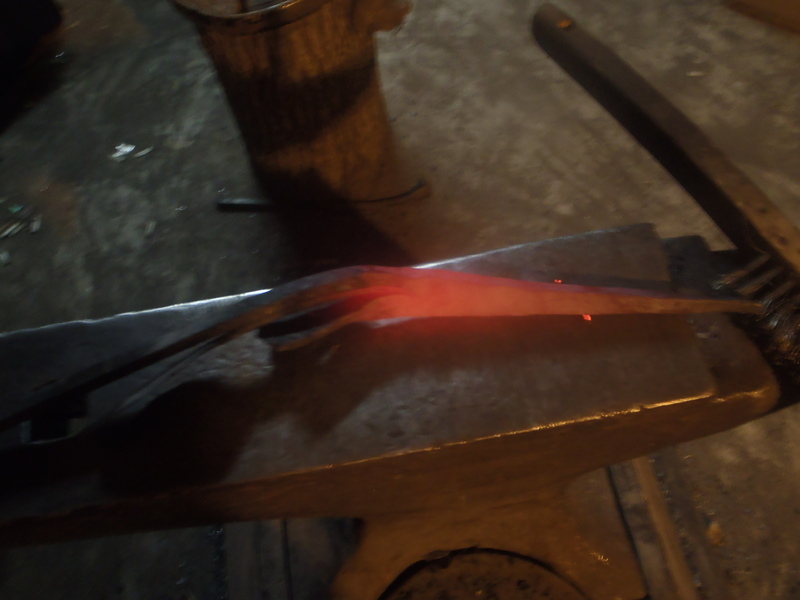 I forged the hook and I can start shaping the stem to the flower. 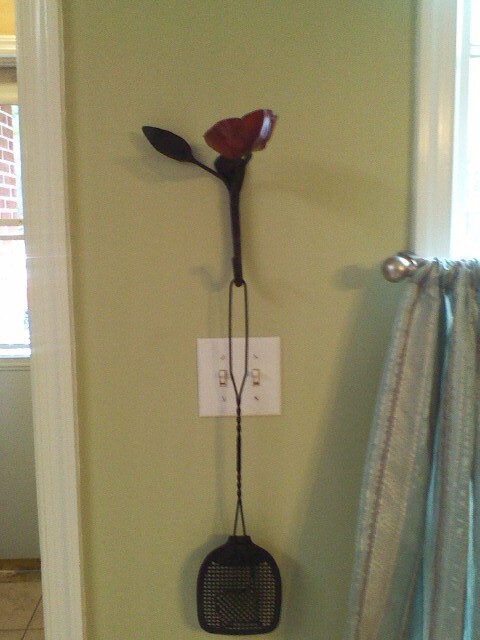 When bending the hook I noticed it was about 20 degree off horizontally when mounted flat on the wall. 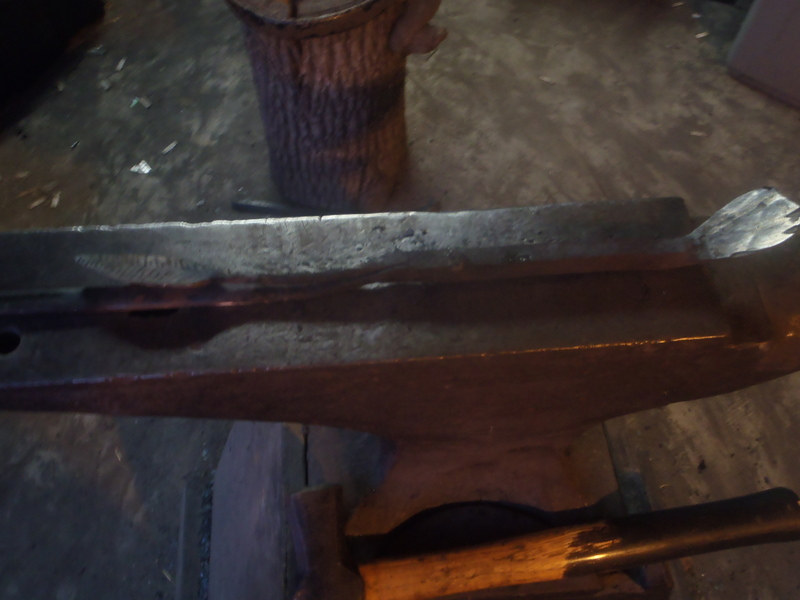 Instead of straightening it out and redoing it I just twisted it to the right angle. This gave an undesirable line that I refined later. The bulk of the work is done. 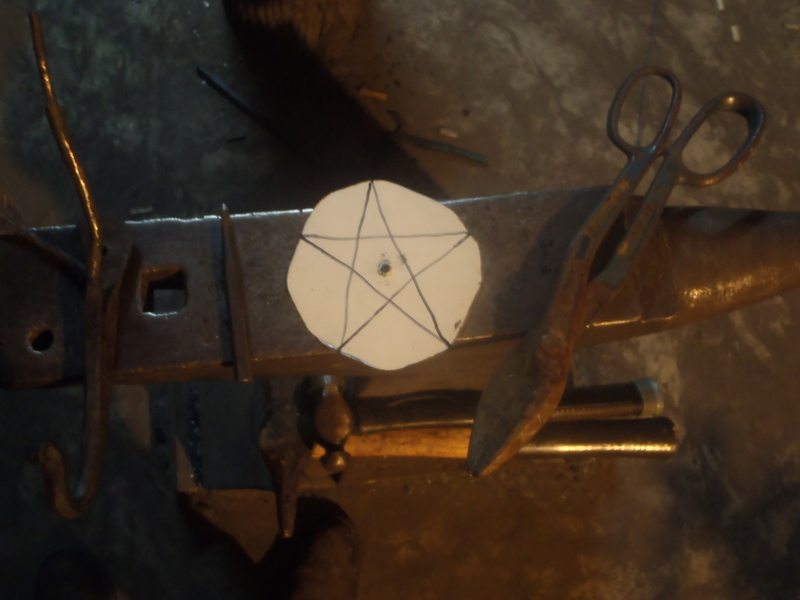 This isn’t an occult blacksmithing ritual. 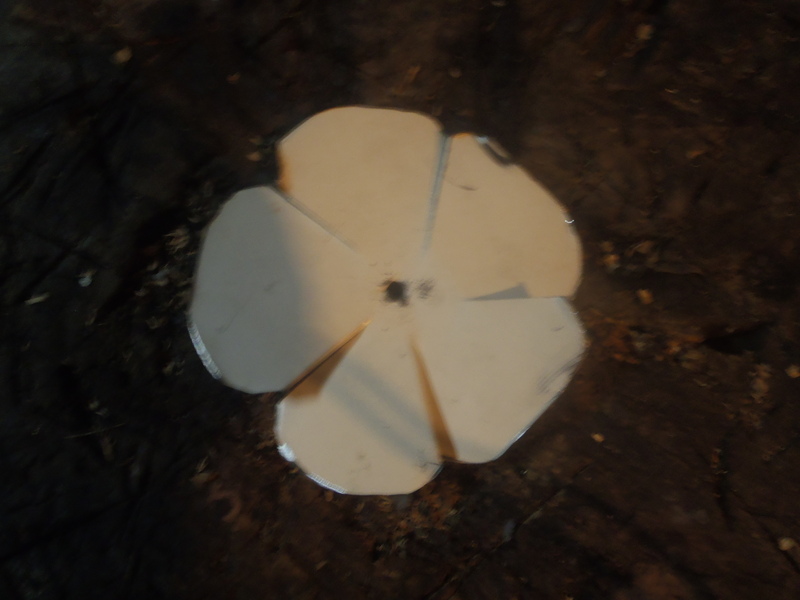 I cut out a small semi-circle for the flower and drew a star to mark the pedals. 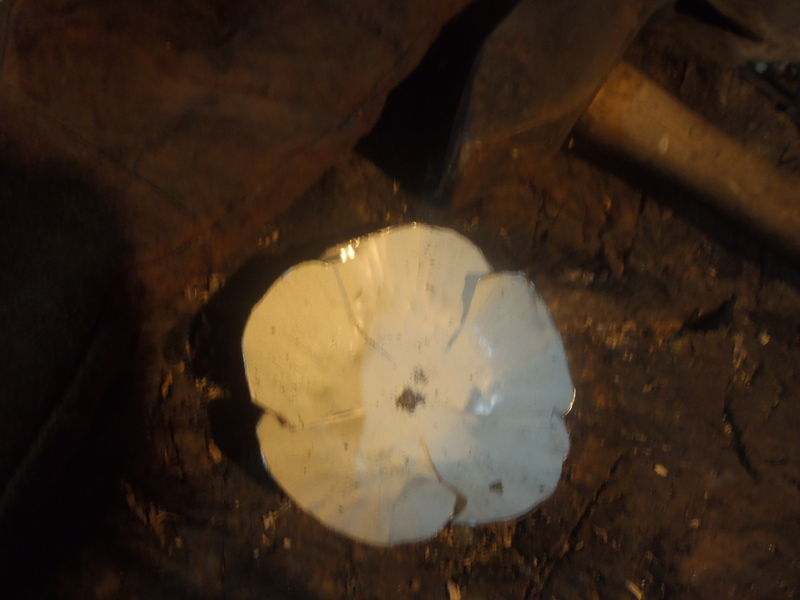 I used snips and a punch to form the flower. It took a little sanding too. A crosspein on a stump gave the pedals texture. 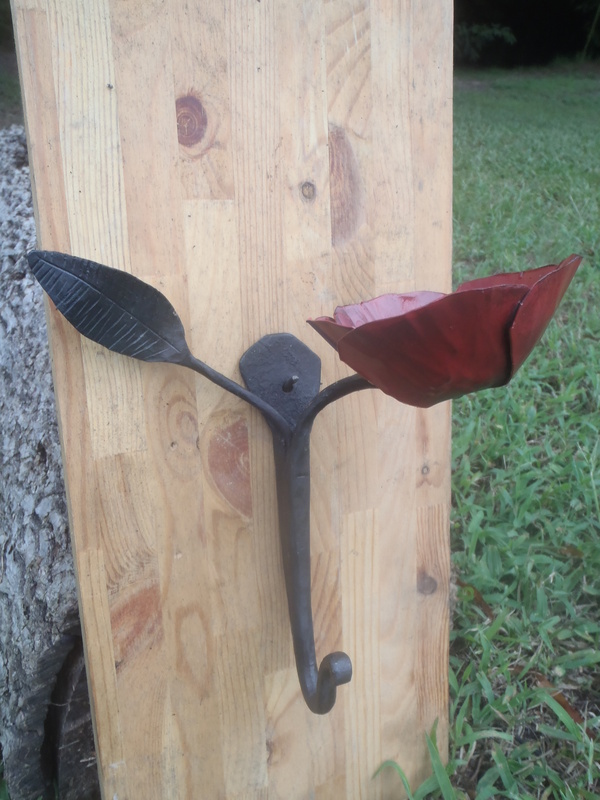 I cut off the excess stem and bent it around to secure the flower. 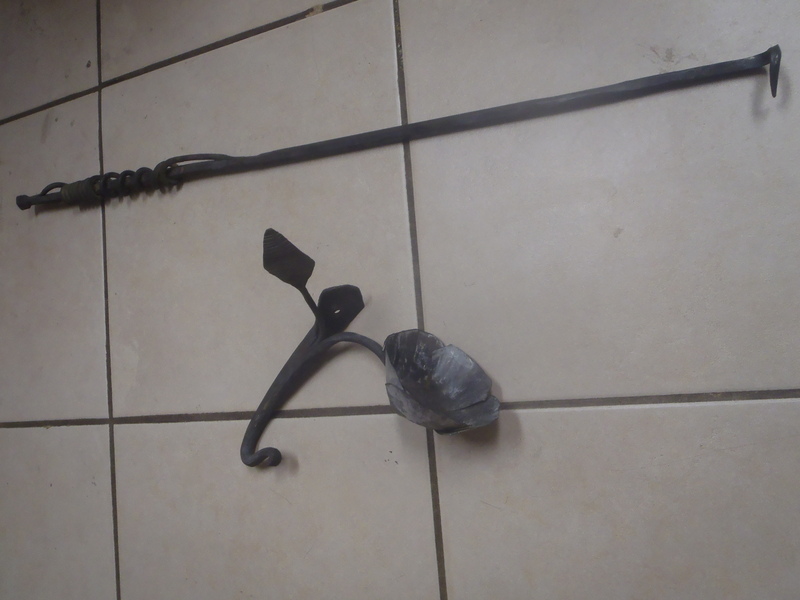 (You can also see a steak turner I made a while before I could finish the hook and candle holder). 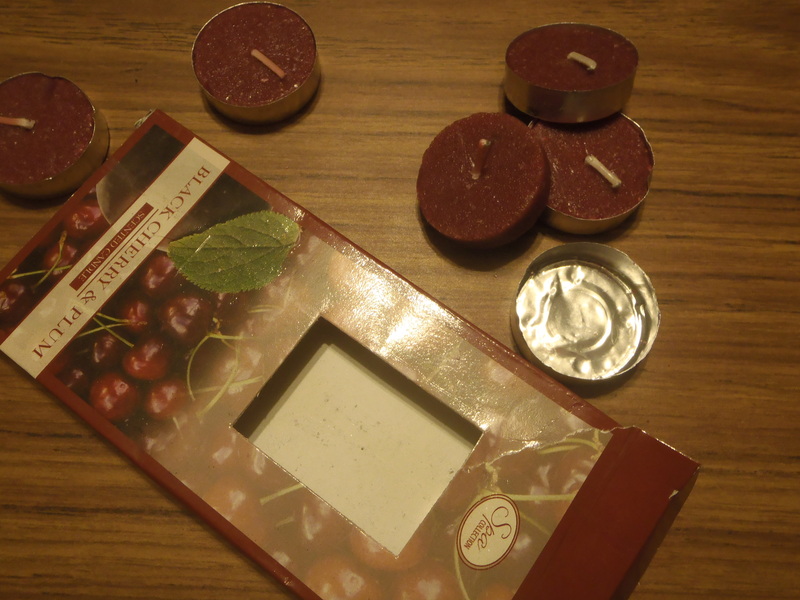 These little scented candles come with a thin metal pan that I glued into the center of the flower using JB-weld. I’ll get a better picture of it mounted sometime soon I hope. I’ve got some more projects to post eventually and some more how-to stuff too.